Hello Kitty and Pokemon seem to have taken over the world in recent decades. But while these Japanese-born characters have become global products, Westerners for the most part think such kawaii [cute] characters are for children. 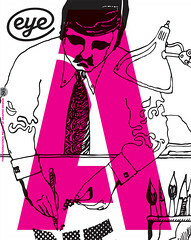 However ‘cute culture’ (see Eye 44) is embedded in all aspects of Japanese society. In Japan, otherwise sober and professional adults surround themselves with such objects, from kitchenware to street furniture. Kawaii! Japan’s Culture of Cute by Manami Okazaki and Geoff Johnson and designed by Pony (Prestel, £16.99, $24.95) is a gorgeously produced piece of reportage. There are photos and interviews with the people who make cute visuals, ranging from illustrators to merchandisers such as Sanrio, software designers to the fashionistas of Tokyo’s Harajuku area. Enthusiasts will be delighted to discover some of the history, philosophy and unusual uses of cute products. Paro, for example, is a fluffy robotic talking seal used as therapy for dementia patients. 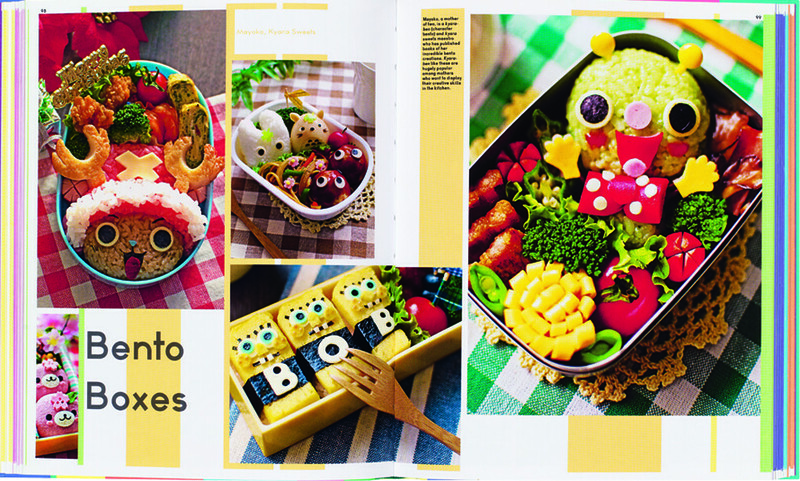 Cute food features prominently: from cupcakes to Bento Boxes (above). But the Western reader, at whom this book is undoubtedly targeted, might be left in some doubt as to what exactly is going on here. The focus is on the most extreme examples of kawaii, and the surfeit of bizarre images might give the impression that Japan is wholeheartedly eccentric. It would have been intriguing to hear from ordinary people – the majority of Japanese who consume cute items – what they think about them and how they fulfil their needs and aspirations. 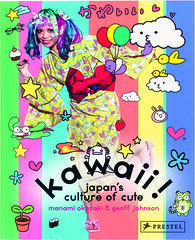 This would bring home to readers that cute is not an extreme subculture but a part of everyday life in Japanese society. So, does Kawaii! go beyond cultural tourism? The interview format does not allow much analysis of how cute culture came to be so dominant, the psychological and sociological drivers, the origins of cute aesthetics and the influence of Western and other cultures – what it is that makes kawaii so uniquely Japanese. There are few voices from the anime and manga (comic) artists who are the main driving force in cute culture. J-pop (Japanese pop music), which is achieving a higher profile in the West through girls groups such as AKB48, is mentioned only briefly. It would have been interesting to hear the authors’ views on whether kawaii will remain a largely Japanese phenomenon or achieve wider impact – if not in the West then perhaps in other Asian countries. That aside, the book is a great introduction for the curious.